Every Wednesday Manor Farm Community Association, part of our BBO Community Matters programme, run a job club for people based in Walsall. Diane has been coming to the workshops for the last 18 months and now, as she approaches her final steps in securing employment, is offering her services to help other people looking for work. 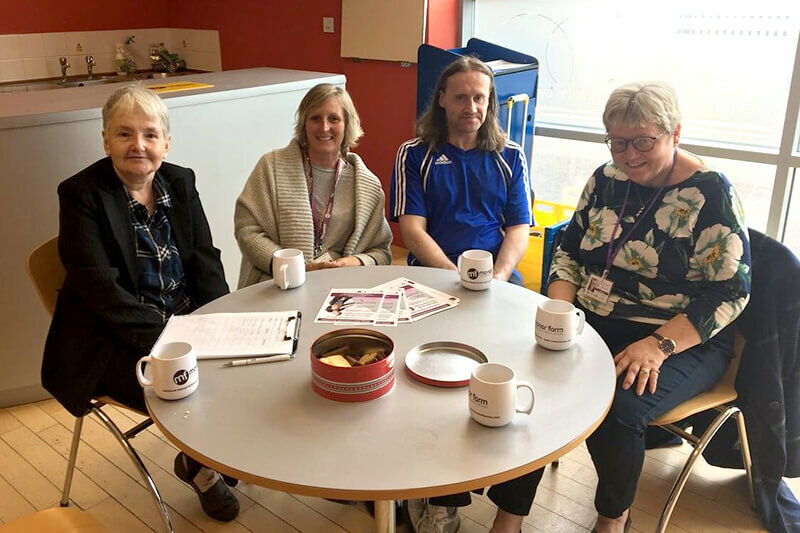 After difficult times Diane has been able to volunteer around the area and will soon be enrolled on a course, thanks to the job club, that could help her achieve her aspirations. “I used to work in HR, but I was made redundant. I was looking for a job but then my mum became ill, so I started to look after her too. “Dianne has come on leaps and bounds, especially in terms of confidence. Every person that comes to the job club is treated individually ensuring the best possible results for participants. “A lot of people that use the service have never been in employment. These sessions focus a lot on work with computers and we do one-to-one work, helping people with CVs and things like that! For more information on Manor Farm Community Association or our Building Better Opportunities Community Matters programme, click here.